Much of the talk about tech-driven change involves the way that data will be used by both patients and providers. On the patient side, Sam Volchenboum, director of the Center for Research Informatics at the University of Chicago, says that medical data will no longer stay cloistered away exclusively in the hands of providers. Instead, he predicts data will be made freely and democratically available to all. 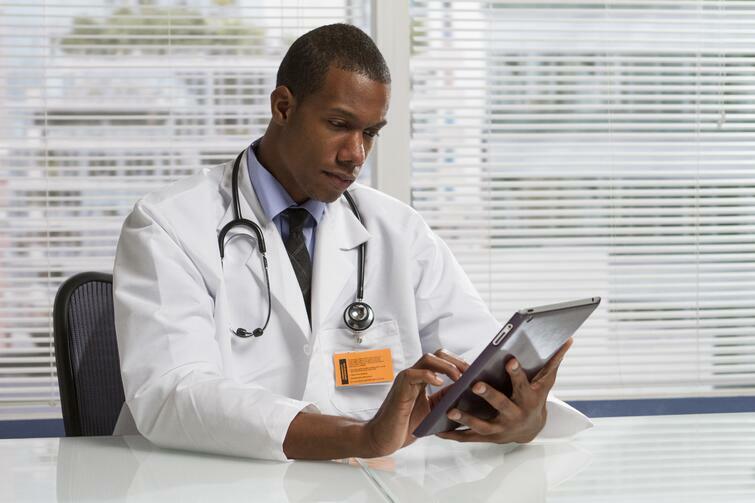 "2016 will be the year of liberated health data," Volchenboum told InformationWeek. This “liberation” is predicted to lead to what analyst firm Forrester Research describes as "the empowered patient," a consumer with enough knowledge and education to leverage providers into making needed updates and innovations. Experts say that the Internet of Things -- the connectivity between networks devices -- will assume a more prominent role in healthcare. While tablets have already made their way into patient rooms and operating room, many are saying that wearables may be the next logical innovation. "The 'killer app' for wearables is healthcare," said Patrick Everett, founder of Digital Doctor. Everett in particular thinks that providers will benefit from the increased volume, immediacy and accuracy of patient-generated data that wearables have to offer. For patients with chronic or age-related illnesses, sensor-based and patient-residing technologies may alleviate some of the communication and monitoring issues that healthcare providers struggle with. "The technology is already here," said Georges Nahon, CEO of Orange Silicon Valley. "It's just a matter of changing doctor/patient behaviors and raising awareness, in addition to sorting out intra-state and international regulations. Either via PC or tablet/mobile, care providers will rely more heavily on these services, in conjunction with Internet of Things (IoT) devices, to increase capacity at their care facilities and reduce cost of care." Nahon alludes to the the final trend and challenge facing the healthcare IT industry. To innovate and fully leverage new technologies, healthcare IT is going to require a broader skill set than ever before. "We're trying to push the industry up to a mastery level of skills," Terry Erdle, senior vice president, skills certification, of CompTIA, told Healthcare IT News. Erdle asserts that tomorrow’s healthcare IT professionals don't just need to be proficient engineers and problem solvers, but certified in advanced security skills, healthcare IT, storage and cloud computing. "Trends in technology are changing the employment landscape," said Erdle. "It doesn't mean that we don't need people. It's just a different kind of job." Erdle underscores an important theme to the previous trends: Increasingly, being a healthcare IT specialist isn’t going to be be enough in to rise to the top in the employment market. Rather, a broader understanding of - and greater imagination for - the role of data and devices will be the distinguishing factor for those seeking jobs in the the healthcare IT market to come. Download our free eBook "How Pharmacy Informatics and Technology are Evolving to Improve Patient Care" for more information on how Information Technology is benefiting healthcare.